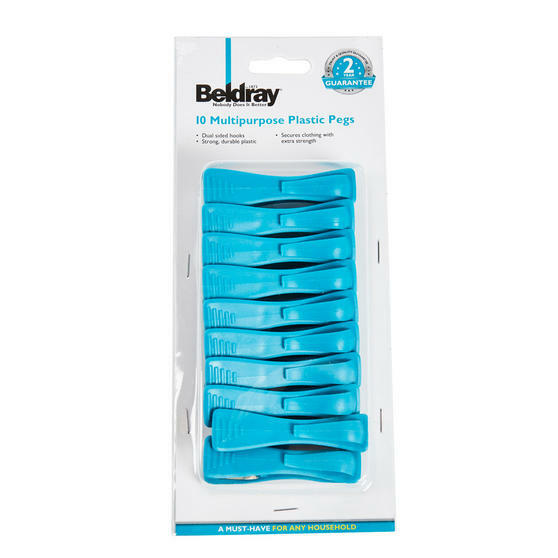 Hang up your clothes and garments on the line with ease thanks to these Multipurpose Clothes Pegs with dual hooks from Beldray. 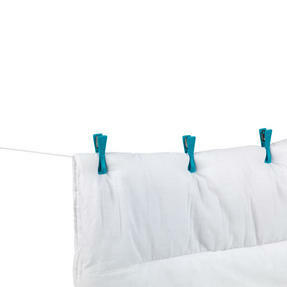 Features two additional hooks either side, allowing clothes to be pegged onto the line or suspended from the hooks either side. Ergonomically designed, these hard wearing multipurpose pegs are built to last with a comfort grip for ease of use. Ideal for use when drying space is limited, take advantage of the dual hook system to keep matching items of clothing together. 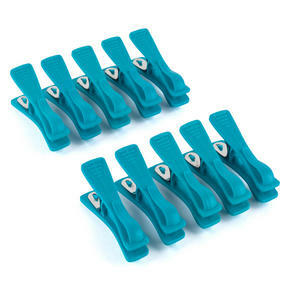 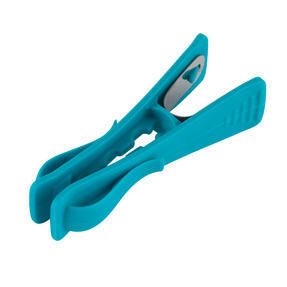 Measuring 7.8l x 2.3w x 2.5h cm and finished in a vibrant turquoise, these ten long dual hook pegs are easy to locate if misplaced.